The BBC wants to be able to prepare for an internet-only future during the next Charter period, according to its official response to a Government consultation about its own future. It says it wants to transform its services for the day when traditional ways of delivering its services come to an end as part of a series of proposed reforms during the next decade. Our programme of reform will ensure the BBC is fit for the internet age, focused on the things that matter to audiences, continues to support the economy and is an unashamed champion of British talent, content and creativity. The BBC already is preparing to take BBC Three online only, with new online services for children in the pipeline and a new online platform dubbed the "Ideas Service", collaborating with arts and science organisations is also proposed. The public wants a strong – and independent - BBC that produces great programmes, gives them impartial news and ensures Britain’s voice is heard abroad. Transforming the BBC's services to be internet fit, on the way to them being ready for an internet-only world whenever it comes. 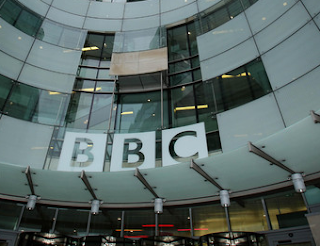 I am all for this migration of services for BBC television & radio. The only fly in the ointment being the UK is a nation of listeners that still tune to football on medium wave, cricket on long wave, and watch rugby and tennis, primarily on Freeview! Is the nation ready to online only? Yes. I presume by online only they mean broadcast BBC One via the internet rather than DTT. I don't imagine that many people listen to the cricket on LW these days, and if the BBC closed down all traditionally broadcast stations tomorrow people would cope - one simple way of coping would be to buy a new device that is capable of receiving it via the internet. All of the services are available on a multitude of devices already. "All of the services are available on a multitude of devices already." But not to everyone, only to a proportion of the licence fee payers. Once again this assumes you have fast enough internet. Which is only about half the UK population for watching TV in picture and sound quality as good as DTT (ie. Full HD video snd 5.1 sound, not crappy iPlayer "HD").